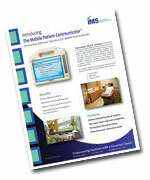 IMS and MARDON develop partnership on highly integrated EHR solution. Oops! You Don't Have Flash! 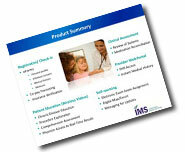 International Medical Solutions delivers solutions to improve patient education, chronic and acute care, and disease management while helping medical professionals become more effective and efficient in care delivery. Our tablets provide patients comprehensive access to medical data at their fingertips while visiting their healthcare provider’s facilities. Exploiting the widespread use of wireless technology, our interactive touch-screens empower patients to be proactively involved in their hospital, clinic and medical practice visits. These easy-to-use mobile kiosks turn patient encounters with doctors, nurses and clinicians into engaging educational experiences.